Hollywood became dimmer on February 10, 2014, when Shirley Temple, the curly-haired child star who brought joy to Americans during the Depression died at age 85. The child actress Shirley Jane Temple was born on April 23, 1928, the daughter of a bank employee and a seamstress was discovered in her dance school at just 4 years old. She was a very famous girl who sang and danced tap dancing on stage, and who would soon conquer the hearts of America through the big screen in the 30s. Here are 15 facts about her that you probably never knew. She starred in more than 40 films during these years. 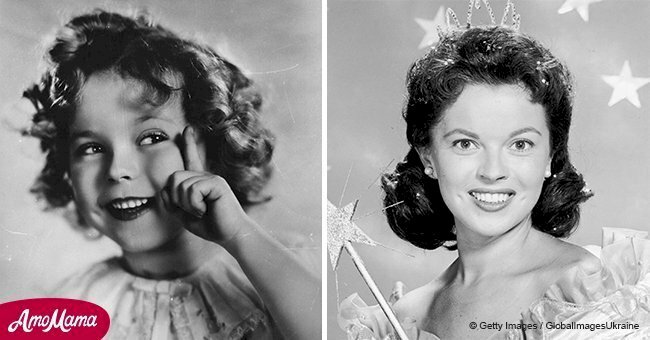 Shirley Temple, the sweet girl with the golden curls, was one of the most popular prodigy girls in film history. In 1935 she received a special Oscar, with only seven years old, a prize given the previous year to Claudette Colbert. Also, her tracks are the smallest of the walk of fame on Sunset Boulevard in Hollywood. She was so famous that the day she went with her mother to a department store to deliver a letter to Santa Claus, he asked her for an autograph. As Gary Cooper also asked her on the first day they met on the set of Now and Always because she was the great celebrity of Hollywood. In 1937, Shirley's profits reached 4 and a half million dollars. According to biographer Anne Edwards, author of the book Shirley Temple: American Princess, Fox gave Shirley other benefits, such as paying for her private teacher, security guards, gardeners, domestic workers, maintenance of the pool in her house and laundry services and dry cleaning. They also provided a car. Shirley was the girl who possessed the most celebrated and admired hair of her time. The secret of its softness, shine and exclusive golden reflection was due to his mother, who every two weeks washed his head with castile soap and then added to the rinse water a certain amount of vinegar. Every night I picked it up in 56 loops. Shirley filmed Wee Willie Winkie. In Heidi, she danced a Dutch dance that was copied in many public school programs. Both films became movie classics. In 1938 she delighted the world with three more films and won more money than the president of General Motors. On Little Miss Broadway, she shared with the great dancer and later United States Senator, George Murphy. Shirley's popularity was growing around the world and her club had four million fans. One day Shirley became ill with high fever and 20 thousand people in Indonesia got on their knees in a large field to pray for their recovery. The sudden attempt on her life occurred when she was 10. A woman pointed a big gun at her while she sang during a live radio appearance at CBS in Hollywood. Luckily, the police grabbed the woman and removed her from the studio. 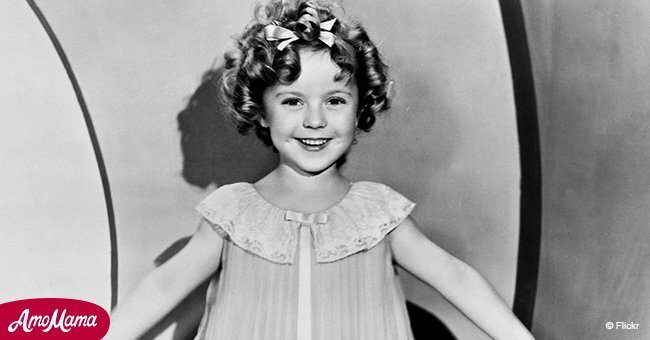 When Shirley filmed The Little Princess, which premiered in 1939 with great success, her popularity began to decline, because the audience was not prepared to see her grow. In 1940, when Young People premiered and did not achieve the expected success, the Temple purchased their daughter's contract from Fox. They justified their decision by telling the audience: "We have decided that Shirley will have a private life when she starts high school. After working all those years with Fox, the child prodigy signed a contract with the MGM. On her first meeting with one of their producers, the man exposed himself in front of her. However, Shirley was just 12 years old and had never seen the male anatomy before, so she just burst into a nervous laugh and the predator simply demanded her to go out of his office. Shirley was 12 years old and she was enrolled in the exclusive school for young ladies Westlake School. For the first time she attended one and all the things that her companions regularly did, were new to her. Together with the girls, she went to the movies, to dance and to witness sports competitions. At the end of 1940, she signed a contract with Metro-Goldwyn-Mayer to work on films during her school holidays. Shirley had become an attractive young woman. Her hair was wavy; it had turned a dark brown, with reddish flashes. She filmed Kathleen, which premiered in 1941. A year later she worked on Miss Annie Rooney for United Artists and the studios proclaimed that for the first time in her life a boy kissed Shirley in a film. It was the young actor Dickie Moore, but he gave her a simple kiss on the cheek. Shirley Temple will be remembered as that childish icon thousand times parodied, imitated, adored and hated with flavor to other times. 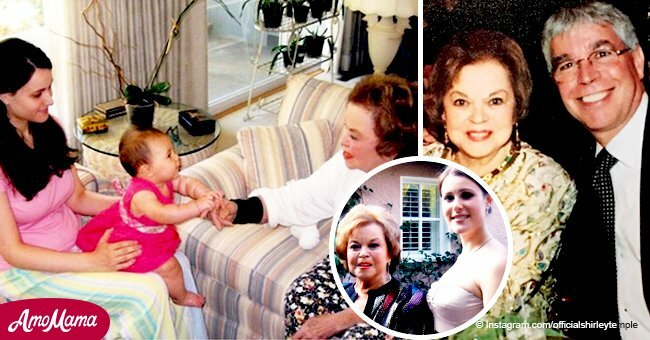 The appearance of Shirley Temple was the definition of the word "innocence”, however, things with her daughter were not so rosy. 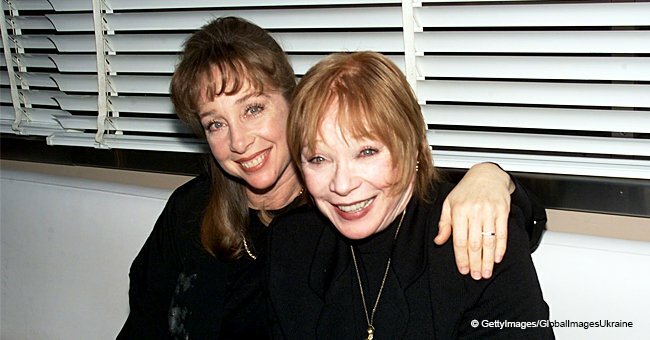 Her daughter with her second husband Charles Alden Black was at first a symbol of the happiness she deserved after the hell she lived with her marriage to actor John Agar.